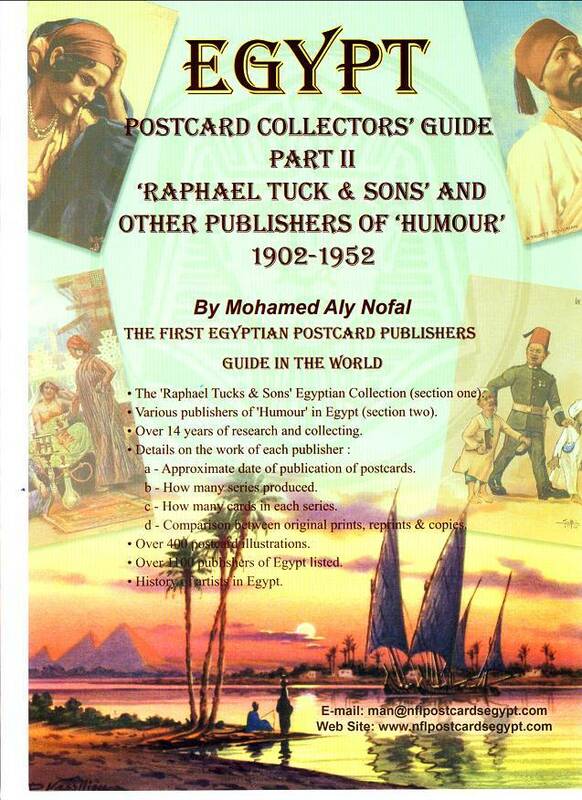 A new book by our member Mohamed Aly Nofal on postcards by Raphael Tuck and others. For those who attending the meeting on July 12, 2008 Mohamed had some copies to show to great acclaim. This book continous in the same style as his excellent one on Postcards of Alexandria being both colourful and highly imformative. The site is well worth the visit even if you not, yet, a postcard collector.